We outline below our reaction to this morning’s election outcome. If you would like to discuss any aspect of the market whether it be relating to buying, renting, letting out or block management then please do not hesitate to contact us. The election result will inevitably contribute to the ongoing political and economic uncertainty which we have been facing since the Brexit vote last year. We expect activity levels in the London property market to remain low, certainly in the short term. In our experience, UK owner occupier buyers had very little regard for the election in the run up; it made almost no impact on their decisions to buy. They are carrying on with their lives and are moving home to accommodate genuine needs to: upsize, move for schools, put down permanent roots and so on. We have been busy acting for these clients over the past couple of months and none of our existing buyers are deterred by the outcome today. We expect appetite for non-necessity purchases, such as buy-to-let investments and second homes, to be more affected. It has been reported that London may become attractive to overseas buyers due to the weaker sterling, but we are sceptical about this. We saw significant sterling falls after the Brexit vote but it was not enough to outweigh the political uncertainty, so the relatively small fall in sterling this morning is unlikely to have a significant effect. London has not lost its appeal for companies relocating their senior staff here. We have seen this in recent months having acted for numerous companies relocating high level executives to London for periods of 3-5 years. In all these cases, renting is being favoured over buying. The main reason is the expensive cost of stamp duty, but also to give some flexibility in light of the upcoming Brexit negotiations. 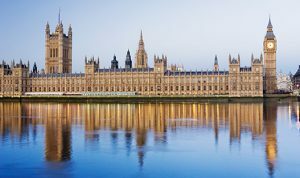 It remains to be seen how the government will tackle the coming months, however it is largely expected that the outcome of the hung parliament will lead to a softer Brexit and we must now wait to see what this looks like. Either way, London ultimately still has huge appeal to buyers, tenants, investors and those wanting to enjoy everything the city has to offer.